Last week, the 6th Hum Awards caused quite a whirl because most of our celebrities were not in Pakistan to cast their vote on July 25 and be a part of the wave of change in Pakistan. 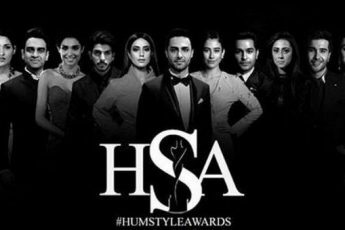 The social media trolls decided to boycott the award ceremony and the Hum Team, and ostracized everyone from Mahira Khan, Bushra Ansari and Yasir Abbas (to name a few), for neglecting their civic duty, and yet the show went on as planned on July 28th in Toronto, Canada. However, during all the frenzy, SiddySays had their eyes set on what our stars were going to wear. Where some were questioned for their sartorial choices, others were appreciated for raising the bar, so we decided to do a low down of our stars; who put their best foot forward and who went down the hill as compared to the 5th Hum Awards last year. Mawra’s transition from a puffed up candy floss lassie at the 5th Hum Awards to sheer elegance this year was quiet a surprise, and a happy one at that. And we’re going to thank her stylist, the rocking Ania Fawad for the big reveal. 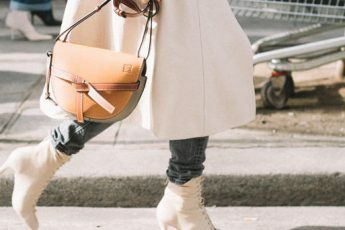 From a black off shoulder gown to a blush pink look this year, we’re going to vote for Iqra’s look from last year but she not only looked edgy but rather chic for her age. This year the Sana Safinaz custom designed dress was bland and we think that the hair extensions should be donned for the TV serials only! Last year Hareem was a vision in a custom House of Elan sheer powder blue dress styled by SiddySays styles. This year, out of all her three looks, we loved the navy blue outfit (for its embellished bodice and cape). 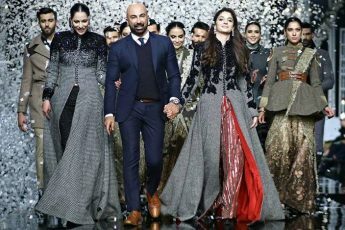 The monochrome Zaheer Abbas outfit is something which is all too similar and we’ve seen it before and the black Maria B. outfit with gold embellishments was another miss! 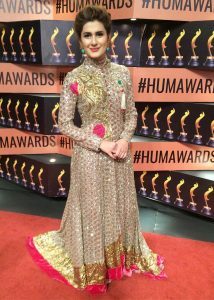 The eternal beauty, Reema Khan defied her enigmatic beauty when she stepped out on the 5th Hum Awards in a beauty Nomi Ansari dress, she was ethereal. But this year, the sari was quiet disappointing and faded her aura as the show went on! We liked Kubra Khan more this year than her last look at the 5th Hum Awards since she was in our worst-dressed list!